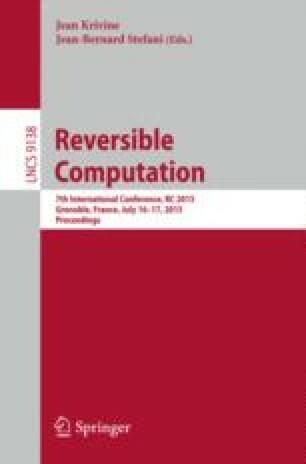 In this paper, we introduce Ricercar, a general textual description language for reversible logic circuits designed explicitly to support rewriting. Taking the not gate and the identity gate as primitives, this language allows circuits to be constructed using control gates, sequential composition, and ancillae, through a notion of ancilla scope. We show how the above-mentioned rewriting rules are defined in this language, and extend the rewriting system with five additional rules to introduce and modify ancilla scope. This treatment of ancillae addresses the limitations of the original rewriting system in rewriting circuits with ancillae in the general case. M.K. Thomsen—This work was partly funded by the European Commission under the 7th Framework Programme. M.K. Thomsen—A preliminary version of Ricercar was presented as work-in-progress at 6th Conference on Reversible Computation, 2014.